Covington Creek Veterinary Hospital’s vision is to treat every patient with dignity and first-rate care. The staff at CCVH are highly-trained and enjoy what they do. We understand that for many pets (and their people too), visiting a veterinarian can be a stressful experience. Our comfortable surroundings and compassionate medical professionals will make the process as easy as possible. 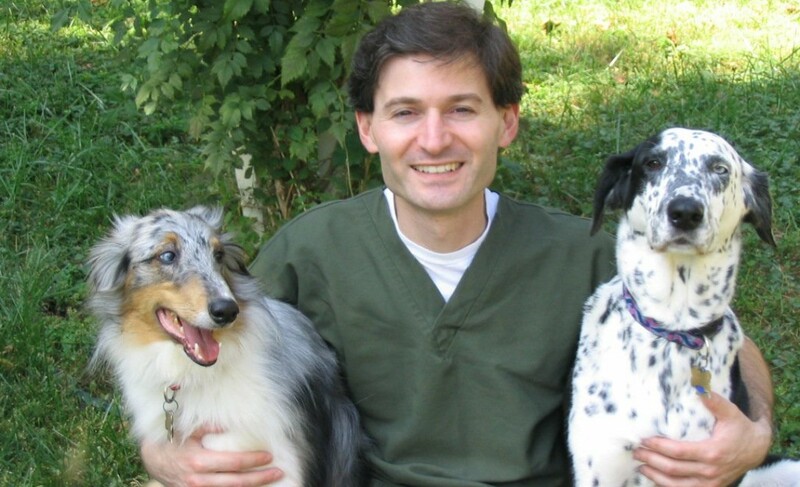 Dr. Chaves obtained his undergraduate degree in Biology from George Washington University in 1996, and his Doctor of Veterinary Medicine from the Virginia-Maryland Regional College of Veterinary Medicine in 2002. He has practiced medicine in five states and is happy to have finally settled in California. He is passionate about providing quality care. Dr. Chaves and his wife Niki have two sons, two dogs and two cats, not including those permanent residents of the hospital. Covington Creek Veterinary Hospital specializes in providing care for dogs and cats of all ages and breeds. CCVH understands the need for consistent care. We treat each patient like family. Our compassionate, professional staff is dedicated to providing the highest level of care possible. We provide effective medicine that is responsive to the needs of the community. We do not believe that living in a remote area means your pet should have anything less than excellent care. Although we do offer same-day appointments when available, we encourage making appointments as far in advance as possible. Our friendly staff will be happy to answer any questions you have regarding scheduling and payment arrangements. Additionally we appreciate the understanding of our clients when occasionally a medical emergency requires waiting or rescheduling an appointment. Pets with emergencies are always triaged and worked into the schedule according to priority. Our doctor and staff are passionate about what they do. Covington Creek Veterinary Hospital is a progressive practice. In everything we do, we strive to be the best we can, with a goal toward continual improvement. Dr. Colin Chaves has formed the protocols and philosophy of CCVH with one simple but highly demanding concept in mind: provide the same level of care to each patient that we would expect for our own pets. More about our philosophy is covered in our Services section.